I know it might seem odd to start with a group photo, but I wanted to begin this talk by first introducing how I position myself within the New Zealand contemporary art landscape. My arts training began at Victoria University of Wellington, where I studied Renaissance and neo-classical Art History. My foray into a contemporary art sphere only began when I moved up to Auckland to work in a diverse range of galleries, including Objectspace, which focuses specifically on craft, applied arts and design and Artspace, which positions itself at the forefront of international contemporary art. I’ve also interned, produced exhibitions and written for Tautai Contemporary Pacific Arts Trust: an Auckland-based arts organisation that supports and promotes artists of Pacific-ancestry. Being part of this community has given me access to a thriving hub of Pacific diaspora artists, and in particular introduced me to a group of emerging artists of Pacific Island descent, who share a similar background to me: New Zealand born and often tertiary trained. I consider these artists to be my peers, and often my mentors too. These experiences have shaped me into something of a ‘generalist’ curator within a New Zealand context. I’m glad to now be curator at Te Uru Waitakere Contemporary Gallery, a recently opened space in West Auckland. We have a broad remit and notably, the word ‘art’ isn’t in our gallery name: a signal that we wish to embrace to a wide range of practices and material culture. At a recent workshop I attended, where this photo was taken, we were asked to introduce ourselves by stating what ‘master’ we serve, which I thought was a great way of declaring our personal agenda. As a ‘generalist’ curator, I have to say that my current allegiance is to the artist. 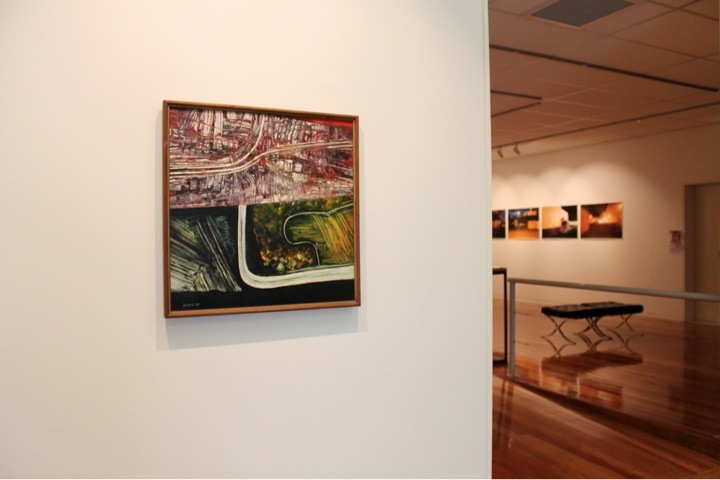 My curatorial drive is to enthuse: to share with audiences a genuine love that I have for the artists work, and to ensure that the artists voice still has a presence despite other institutional priorities. Despite having this very personal, rather than political approach to curating, when it comes to working with contemporary Pacific arts for a New Zealand context, it feels like the political is impossible to avoid. The second are a couple of curatorial experiments that attempt to negotiate this issue. MY FIRST EXPERIENCE WITH THE POLITICS OF PACIFIC ART CAME EARLY. 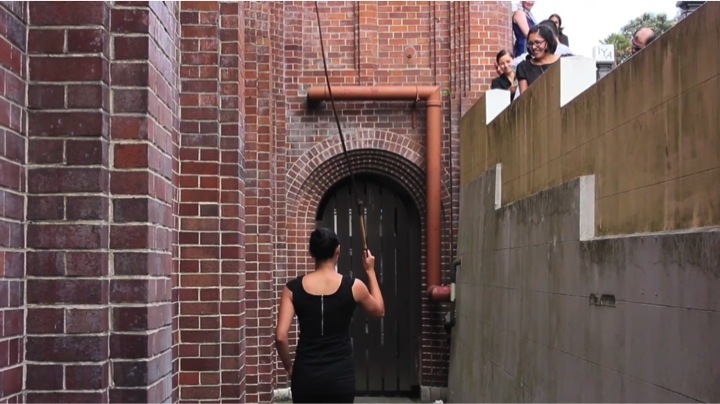 In 2013, I was commissioned by Tautai to curate a performance series to accompany an exhibition at the Gus Fisher Gallery, produced by Jeremy Leatinu’u and Kalisolaite ‘Uhila. In developing this two-week performance series, I was asked specifically to work with artists of Pacific heritage. The provocation for both the existing exhibition and the performance series was the site itself. The Kenneth Myers Centre has been the setting of some of the most pivotal moments in New Zealand’s performance history. It has functioned as a government-owned national radio, a home for a number of television stations, rehearsal and recording spaces for many local musicians, and is now a School of Creative and Performing Arts. Interestingly, this history is rendered invisible because of the building’s architecture. Its 56 cm, double-layered brick walls and the triple-glazed glass prevent sound from travelling in or out of the building. Furthermore, from street level, you can’t see the three stories that descend below the slope. The performances sought to disrupt the site’s cocooned nature through a series of interventions: Bringing performance produced in the dance studios into the street, using performance to lead audiences into the cavities of the building, occupying and activating the liminal space between the street and structure, calling out from the roof, and using the body to both create and stifle sound were some of the strategies used by the invited artists. Together, they exposed, interrogated, satired and disrupted the architectural and spatial features that so dominantly demarcate the building from the public. Mark Harvey, ‘In Certain Places’, Eyecontact, 8 April 2013. These two reviews are totally valid. There is something potentially empowering about a group of young, Pacific-heritage artists occupying a building that is used to transmit images, sound and learning. However, the readings are also somewhat reductive. The spatial engagement with the site was marginalised, and instead imposed assumptions of ‘Pacific exclusion’ as well as ‘Pacific art intentions’ were applied. These responses are indicative of a much wider problem. It seems to me that contemporary Pacific arts, in New Zealand, suffers from a continued, stereotypical imagining of what it means to make art as someone of Island heritage. Contemporary Pacific Art in New Zealand is like a three-legged race. It is both a novelty and a handicap event … and [is] at the same time constricted by the art world itself —which offers only a narrow opening — a vision of an imagined Pacific Island world — through which the work is admitted to a public space [my italics]. I’ve italicised the last section of Vivieaere’s quote (which is an abridged version of his full statement), because in 2016, I would argue that the art world continues to gate keep and perpetuate a narrow vision of Pacific art. This imagining of a Pacific Island world results from a number of factors. Over the years, the idea of a Pacific aesthetic — one that is colourful and motif-driven — has been coupled with an idea of a particular politics, such as identity, diaspora and representation. 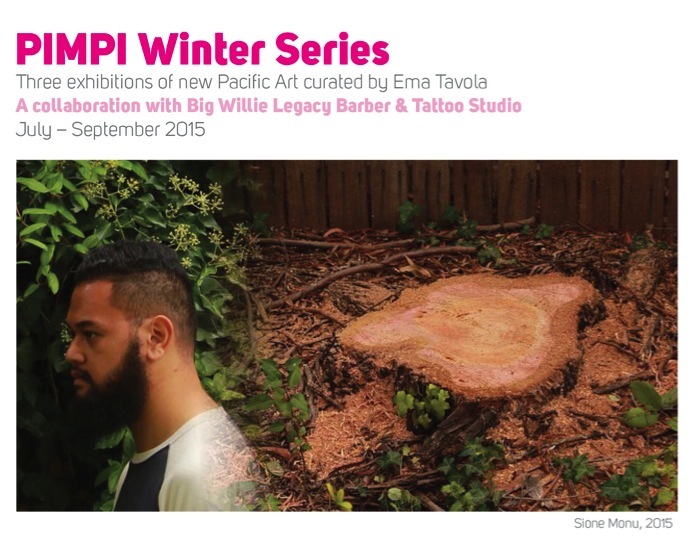 While these are urgent issues for a number of Pacific-heritage artists, and Pacific diaspora peoples more generally – this homogenisation of artistic concerns continues to be put forward through a process of ‘othering’, a fetisisation of Pacific-heritage artists who are conceived of only in terms of their novel points of difference. There are two particularly damaging repercussions that result from this imagining. 1: Firstly, it flattens a diverse diaspora of Pacific peoples. In Aotearoa New Zealand, the ‘Pacific’, when used without qualification, usually doesn’t encompass the full ‘Pacific Ocean’, from which the adjective derives. Rather, the ‘Pacific’ is used more conventionally as an abbreviation of the Pacific Islands; a term that consistently excludes Aotearoa New Zealand and Australia but is otherwise used somewhat at will … this use of the word ‘Pacific’ in reference to a much smaller grouping of nations privileges the most central region of Oceania, maligning other nations without overtly declaring that bias. 2: Second, this imagining of a Pacific World flattens the diversity of contemporary Pacific arts practice, as well as the multiple readings that might be generated from single artworks. In New Zealand, we have an incredibly, rich, diverse, and prolific ‘contemporary Pacific arts’ scene. Nevertheless, the phrase ‘contemporary Pacific art’ is frequently invoked to imply a set of shared artistic concerns, when really what we’re actually referring to is membership in a shared, often peripheralised, community. If the term ‘Pacific’ fails to represent the diversity of peoples from the region, then the term ‘contemporary Pacific art’ groups together that same diverse group of people who are making an even more diverse output of art. For me, the primary challenge facing Contemporary Pacific art in New Zealand is the need to reclaim its diversity. Curating offers one means to combat persisting limitations. Ema Tavola’s 2015 exhibition That’s not Pacific Art, for example, embraced a new wave of artists, confronting popular expectations of what Pacific art is / should be. It was part of a wider ‘Winter series’ of pop-up exhibitions that took place in a barber and tattoo studio in the central suburb of Mt Eden. Collectively, the series had a self-stated aim of broadening an awareness and understanding of Pacific ways of seeing and being in Auckland. Similarly, Natasha Matila-Smith’s 2015 painting show Pacific Materiality was made in response to “a perceived notion of a Pacific aesthetic”. 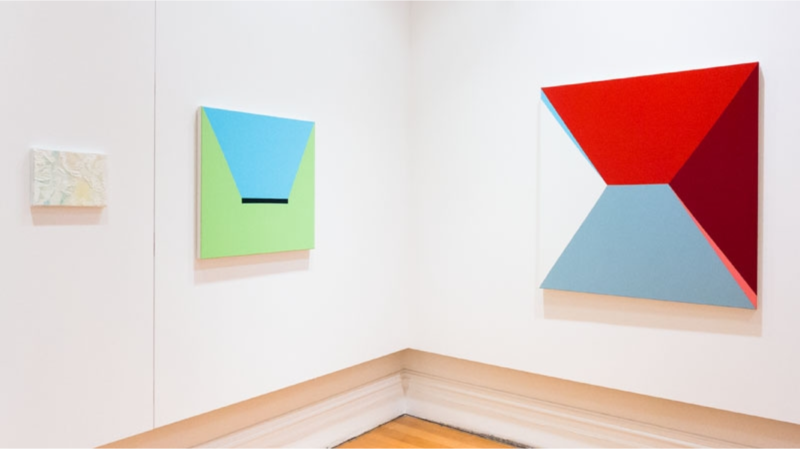 For the most part, the artists she included in the exhibition weren’t often recognised as being of Pacific-heritage, and the self-conscious positioning within a global lineage of modernist and abstract painting was also defied expectations. Over the past couple of years, I’ve been trying to negotiate how to curate work made by Pacific heritage artists that reclaims its complexity: acknowledging their Pacific heritage while also allowing space for other references points to come to the fore. My first conscious attempt to undertake this was group exhibition co-curated artist and curator Talia Smith.This was another exhibition commissioned by Tautai. Consequently the same agenda from the More Than We Know exhibition applied here too: to support and promote Pacific-heritage artists working in New Zealand. Talia and I thought the best way to achieve this was to position the work of three Pacific artists — Jeremy Leatinu’u, Salome Tanuvasa and Anita Jacobsen — alongside the work of non-Pacific artists, including some seminal works in recent New Zealand art history, such a Laurence Aberhart photographs, Robin Morrison’s images of Ponsonby Road, a Robert Ellis Motorway painting and a print of Michael Tubberty’s photograph of Dame Whina Cooper at the beginning of a hikoi. Notably, each of their Pacific artists’ works were place-specific: Jeremy’s video was made in response to fatal hit and run on Church Road in Ōtāhuhu, Salome 16mm film was specific to her experiences growing up on Queen Street in Panmure, and Anita’s photograph captured a dairy at night in Papakura. Reading the works as informed by their positioning in highly Pacific-populated suburbs was made possible through supplied contextual information. 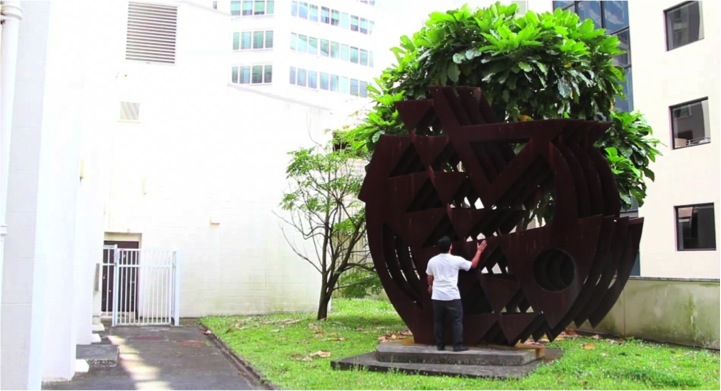 Situated within a wider thematic curatorial umbrella,Talia and I also encouraged audiences to interpret these works as investigations into how public spaces function to choreograph experience. For me, positioning Pacific arts within wider contexts offers many possibilities for expanded readings. At the same time, I’m also interested in unpacking and interrogating in depth the practices of Pacific-heritage artists in solo exhibitions. My next project is a collaboration with artist Janet Lilo on a solo survey re-mix exhibition. Janet Lilo is uses digital video, photography and installation to document a variety of situations. She is known for her conviction in championing what is usually-excluded in the art world. With a firm foot in her local community of Avondale, Auckland, an acute awareness of the growing role of the digital in our everyday lives, and an unapologetic interest in the ways that we adapt and define ourselves through popular culture, her practice raises timely questions about the role of accessibility, distance and representation in both the gallery space and the wider world at large. Despite an approach that is simultaneously vigilant and sprawling, Janet, for me, has often been turned into a poster child for either ‘pop-influenced’ work or a younger generation of Pacific art. The survey exhibition is in part an attempt to re-assert Janet’s expansive repertoire and re-assert the importance of her work in outside of single-lens contexts. For that reason, we’ve given the exhibition the tongue-in-cheek title ‘Status Update’, which is a nod both to Janet’s well-known use of social media as media, as well as a provocative, self-aware use of the exhibition as a way of clarifying Janet’s position within mainstream contemporary arts. Furthermore, the survey exhibition takes a deliberately de-centred approach. The remixing of previous works to create new work is both an attempt to recognise that her practice has often been ephemeral, and thus resists re-showing, as well as an attempt to wrestle interpretation of the work away from previous reductive readings into a space where things are defined on the artists’ own terms. As part of that agenda, the exhibition used the four categories of text, image, video and installation as the axes around which Janet explores a number of themes, including all but privileging none. The difficulty I find with being a consciously educated Pacific/Maori artist is that I am trying to engage with various audiences on different levels without compromising my ideas and to tell the truth I find it really hard. It’s not a matter of trying to please audiences but to have a balance. This is where being dynamic is a challenge for me. The other challenge is related to the context of where work sits in relaon to all of these considerations. I’m interested in making work that is based on simple ideas and is open for discussion at any level of sophistation. I welcome criticism from grassroots to academic equally. When I was on Maori TV , I was presented as a ‘Maori artist’ and when I was on Tagata Pasifika they called me a ‘Samoan artist’ which I found quite funny. My Niuean Grandfather (bless his soul) would be upset with that. I wonder what I’d be if I was on Crimewatch – who would claim me then? For me, the question of who claims contemporary Pacific art is vital. We need more curators, more writers, more academics to engage with Pacific art. And as much as we need more Pacific-heritage peoples in these roles, contemporary Pacific arts also needs to be claimed by generalists. We need to acknowledge that Pacific-heritage artists occupy multiple worlds, and subsequently position Pacific arts in broader contexts where multiple reference points can co-exist in a constellation of possible readings. I fundamentally believe that the more we claim contemporary Pacific art for spaces outside of its current display case, the fuller our understanding of Pacific arts practices will be.